Initial jewelry, and initial bracelets are a sweet way to show a little girl how much they matter. 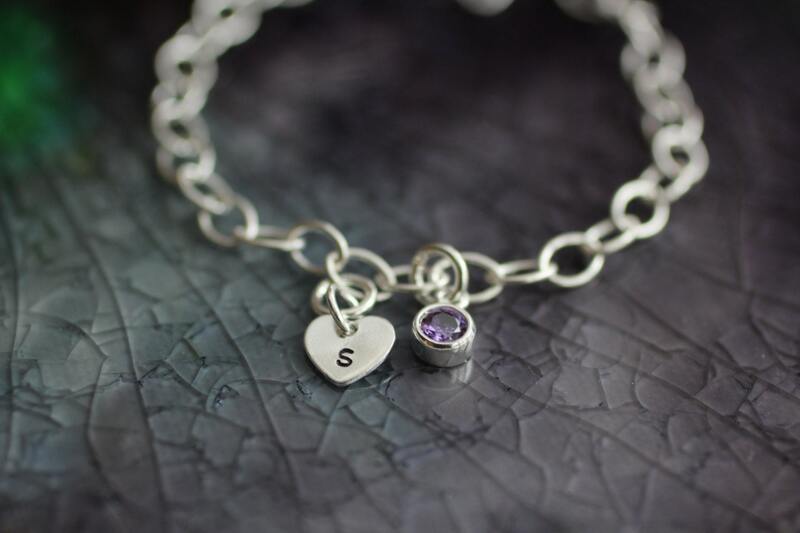 Their names are special, as they are special, and when you gift them with a sterling silver initial bracelet they will instantly know they are cherished. The warm blush of excitement at a gift is only enhanced by the sparkling crystal birthstone and the heart shaped silhouette of the charm. The result of this darling bracelet is that your little girl is will giggle with glee each time the charms twinkle on her wrist. Crystal: Pink, purple, green, light green, red, yellow, clear,light blue, turquoise, hot pink, purple/blue or light purple. Absolutely beautiful! Perfect for my niece. Already ordered more charms. Love the box. Fast shipping & so sweet.